You probably know you need calcium for your bones. You may also know you need potassium for your muscles. 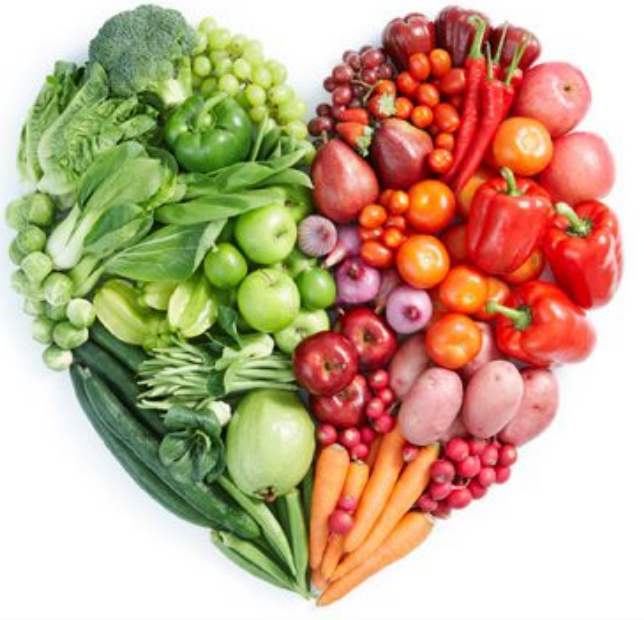 But did you know that magnesium is important for your heart health? Magnesium, a mineral, is essential for hundreds of biochemical reactions in your body. It helps keep bones strong, nerves and muscles working properly, and blood sugar under control. 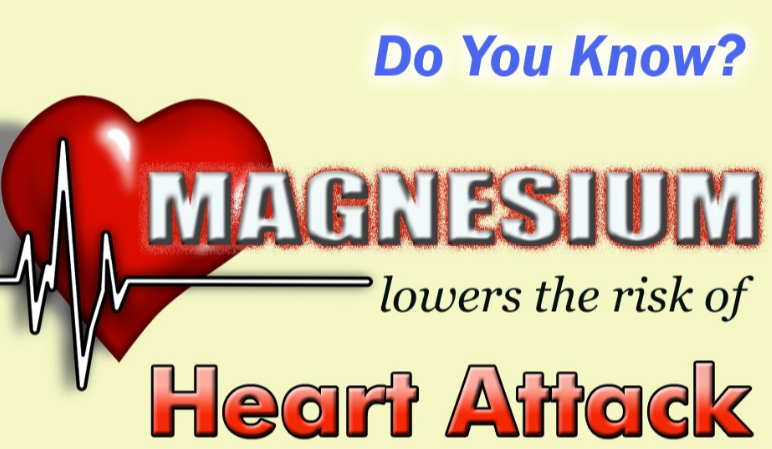 Magnesium is also necessary for maintaining a steady heartbeat and normal blood pressure. Read on to find sources of magnesium, and how much is enough for your heart’s health. For a truly healthy body, magnesium is essential. 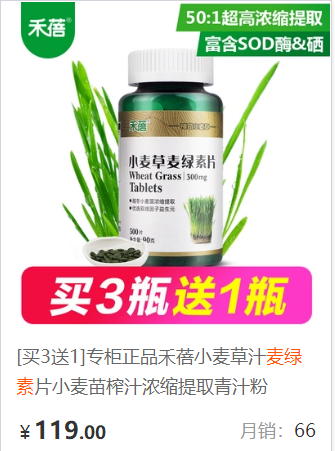 The mineral, which is required for more than 300 enzymatic reactions in the body, is found naturally in myriad foods, including green leafy vegetables, legumes, nuts, seeds, and whole grains. But despite its ubiquity, 75% of Americans don't consume adequate amounts―and this missing mineral is one common culprit behind declining heart health. Given that February is Heart Health Month, now's the perfect time to up your magnesium smarts―and intake. Magnesium helps lower blood pressure. High blood pressure ups your odds of heart attack and stroke, so look to magnesium to lessen the risk. Calcium works to contract muscles, while magnesium helps those muscles relax. When you're deficient in magnesium, tension in the muscles of the body's blood vessels is a consequence, according to Carolyn Dean, MD, ND, author of The Magnesium Miracle. This tension, in turn, can trigger high blood pressure. Magnesium promotes reduced cholesterol levels. Who needs drugs when you have an optimal magnesium intake? The answer may surprise you, especially if you're one of the millions of people taking statin medications to control your cholesterol levels. Magnesium naturally balances the body's cholesterol, and some studies show that magnesium supplementation can cause slight decreases in both total cholesterol and LDL (“bad”) cholesterol, and increases in HDL (“good”) cholesterol. 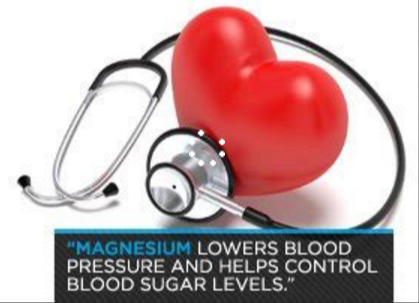 Magnesium enhances heart health. 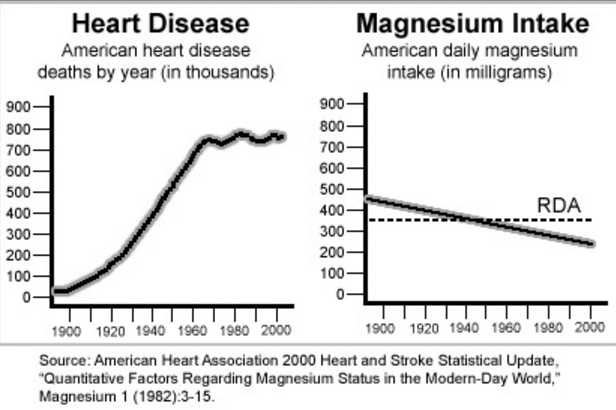 Some instances of heart disease, research now indicates, are due to enhanced calcium intake (from foods and supplements) without similar increases in magnesium. These two minerals are partners, so the body needs adequate levels of both to work properly. In order to achieve an ideal ratio of calcium and magnesium, make a conscious effort to eat plenty of magnesium-rich foods. According to Dr. Dean, "magnesium helps prevent calcium buildup in cholesterol plaque in arteries, which leads to calcification, or hardening of arteries."